For hot, summer days, nothing beats an ice-cold glass of juice to quench your thirst and refresh your senses. If you want to enjoy a refreshing glass of juice that is sugar-free and 100% healthy, what you need is none other than Bolero Drinks Bolero Sachets! Just one sachet of Bolero Drinks Bolero Sachets can make up to 2.5 liters of juice. You may also add it onto your favorite smoothies, shakes, ice creams, and baked goods for added zest and flavor! Looking for a refreshing and healthy drink to cool down your body? Quench your thirst with an ice cold glass of juice made with Bolero Drinks Bolero Sachets! 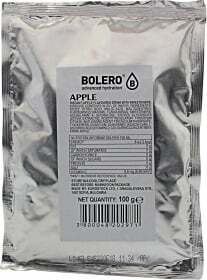 Have a question about Bolero Sachets? What is it, what does it do, how and when to use or something else? Ask us. Dissolve contents in 20 liter of water. WARNINGS Bolero Sachets : Store in a cool, dry place.